Drill America DWRRB Series Qualtech High-Speed Steel bridge reamer. Used to align existing holes prior to bolt or rivet installation. Point is tapered to permit entry into overlapping holes. Short length facilitates use in areas with limited access. Heavy-duty hex shank designed for portable pneumatic tools. Designed for hard service, this reamer is especially suitable for use in structural iron or steel bridgework and ship construction in lining up bolt or rivet holes. 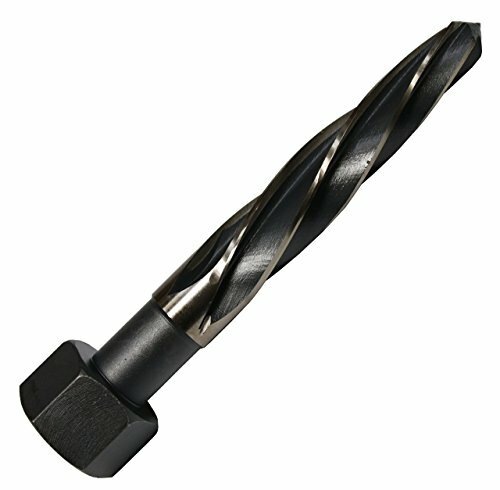 It has a sharp point and long taper for easy entry in badly misaligned holes. The taper shank bridge reamer is commonly used in electric and pneumatic portable equipment. View More In Bridge & Construction Reamers. If you have any questions about this product by Drill America, contact us by completing and submitting the form below. If you are looking for a specif part number, please include it with your message.